Natural Resources Defense Council thinks that should be our ultimate goal. That was the word from NRDC's Victoria Rome, a legislative advocate who appeared on an energy panel at Bakersfield College Tuesday morning. Rome's organization has long been at loggerheads with energy companies, arguing for a full moratorium on hydraulic fracturing and an accelerated timeline to end our use of fossil fuels to help combat global warming. 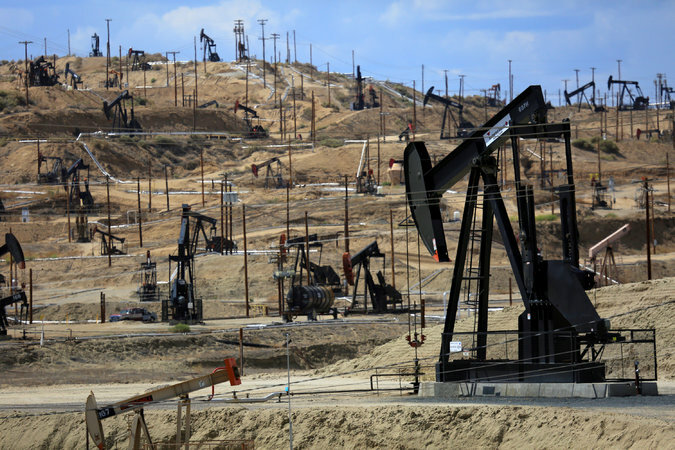 Tupper Hull, vice president of the Western States Petroleum Association, argued that fossil fuels should always have a place in our world, even at a diminished state, and he lamented how oil companies have become demonized in the conversation about climate change. The event was organized by the Greater Bakersfield Chamber of Commerce and TBC Media and was held in the Simonsen Performing Arts Center. 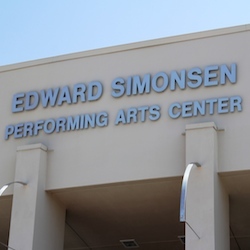 * ... SIMONSEN: And speaking of the Simonsen, this was my first visit to the relatively new performing arts center and it is a stunning venue. If you are a BC graduate and haven't been in the Simonsen, stop by to catch this new addition to your campus. * ... BAD FORM: Don't you hate it when people leave used napkins and other trash in their shopping carts? Well it just got worse. At the local Target near East Hills Mall, someone left a soiled paper plate with uneaten food and - yes, you guessed it - a dirty diaper perched on the cart handle, leaving it for the next person to discard in a trash bin just a few feet away. in the trunk of my Buick... then I gathered up my tools of the day (trade). Lets see, one long handle flat edge hoe, one small metal ladder and a pair of garden gloves. And off I went... I filled that trunk in no less than 20 minutes. And it was full too. Of what you ask? Those hideous plastic signs that are nailed up on telephone poles, or stuck in the ground with wire supports. The ones that read 'Diabetic test strips' or 'Part time jobs from your home' or 'I will buy your house.' The really fun part is taking a razor to them and slicing them up, never to be used again. My point... IT'S GRAFFITI PEOPLE! Take is down, rip it up. No one has been given permission to put these tacky, invasive and useless signs up around Bakersfield." * ... CLIMATE CHANGE: Dan McGuire responded to an earlier post from a reader casting doubt about climate change. Here is his take: "When you share your reader’s rants I’m not sure if you’re making fun of their ignorance or showing your own. Your posting of Joe’s rant about climate change was even below par. The tens of thousands of expert scientists from every country in the world are not trying to save the planet. The planet has got along fine for over four billion years before humans, and will get along fine without us if we become extinct like 99.9 percent of all living things that have already gone extinct. What over 98 percent of the experts are warning us about is the energy we humans have been pumping into the atmosphere is creating atmospheric conditions and rising oceans that will probably not kill us for another few hundred years or so, but displace hundreds of millions of people. Won’t that be a fun world for our grand kids to live in? Maybe you and Joe can share a room or two for the twenty million folks from Bangladesh which will be under water before the end of the century." * ... PRAYER: Can you stand one more rant from a reader? This one was responding to my blog post lamenting "prayer shaming." Said Alan Neumann: "This morning Richard Beene opined about the NY Daily News cover and the idea of 'prayer shaming' and how bad they were. He commented on the headline 'God Isn't Fixing This' and said no one was suggesting he would. Yes Richard, they are, that is what prayer is, asking God to help with what you can't handle, change or in some cases, what you can't get." Thanks for your note Alan but when I pray and don't really expect God or any other higher power to directly intervene on my behalf. Rather, for me prayer is a deeply personal exercise in empathy that - contrary to what you think - really doesn't anticipate action from above.